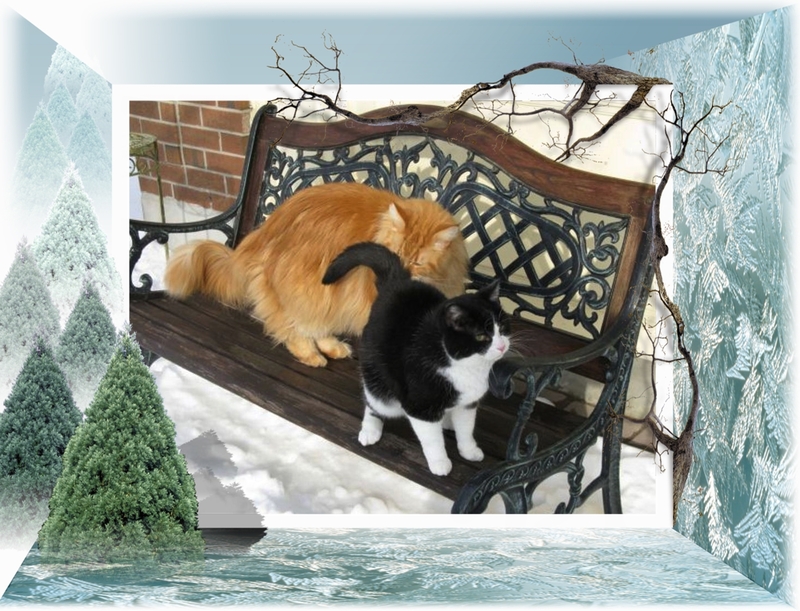 Wendy's 3-D Cats: WORDLESS WEDNESDAY WITH DOMINO & DANTE: A BREATH OF FRESH AIR! WORDLESS WEDNESDAY WITH DOMINO & DANTE: A BREATH OF FRESH AIR! Dang, that was icy air! Not so sure that Dante was sniffing fresh air!